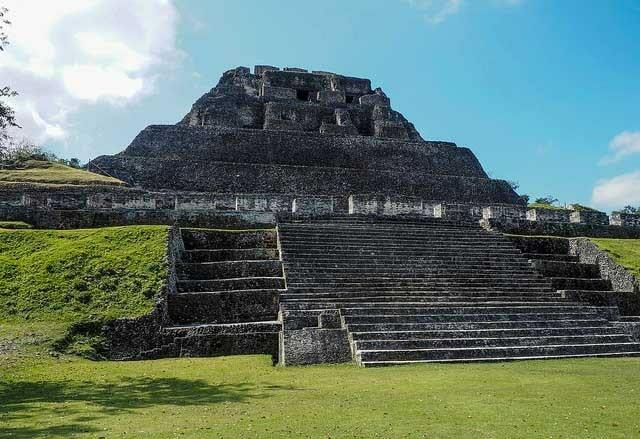 Remnants of the amazing Mayan civilisation have been found throughout Belize. 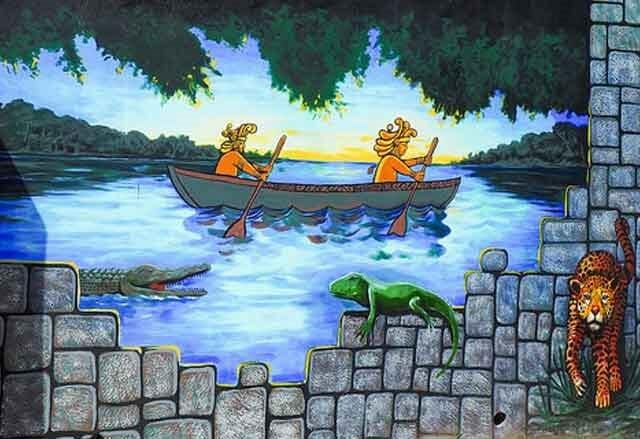 After all, Belize was the centre of the mundo Maya (Mayan world). It’s a special treat to explore one of the unique ruins and step back in time. In the Cayo District, you have a choice of touring Xunantunich (pictured above), Cahal Pech or Caracol. If in Corozal, check out Santa Rita or Cerros. 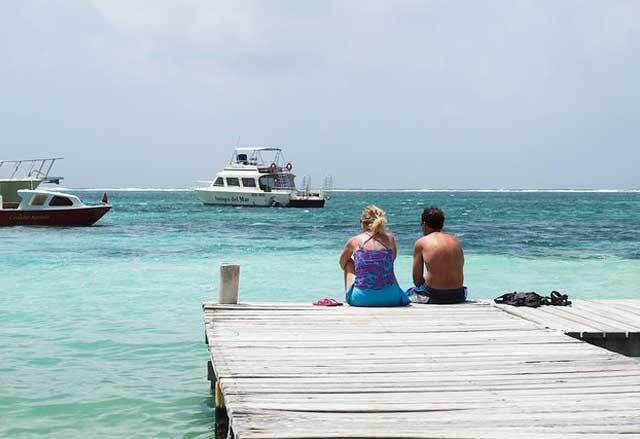 Even if you stay on Ambergris Caye or Caye Caulker, you can take a boat trip and tour of Lamanai or Altun Ha. You haven’t truly experienced Belize until you see the aquamarine sea surrounding the cayes and the stunning offshore barrier reef. Not a swimmer? You don’t need to get into the sea to appreciate the reef’s beauty. 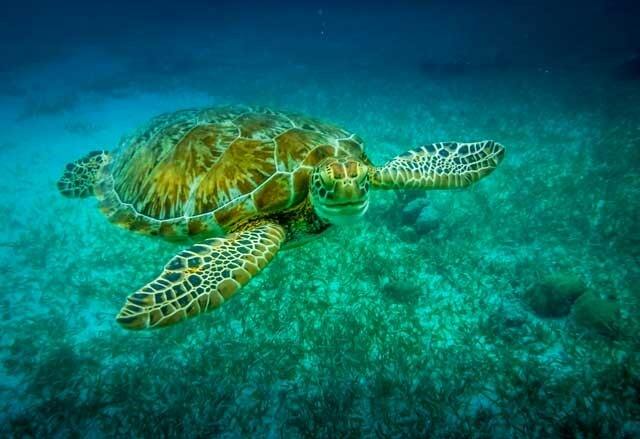 Just hop on a local flight to Ambergris Caye or Caye Caulker. 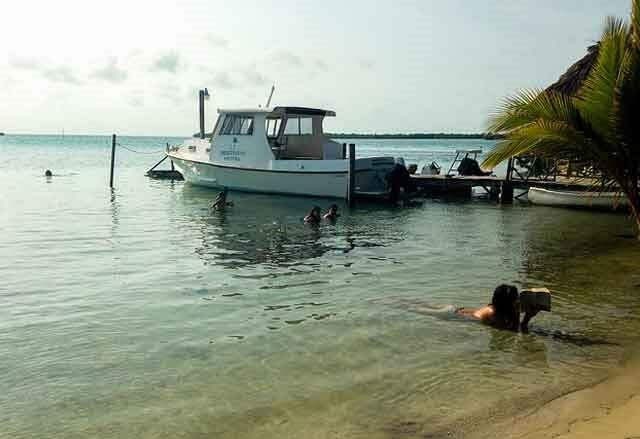 Or take a water taxi to one of the cayes. You’ll be hypnotised by the colour and clarity of the Caribbean Sea beneath you and the waves breaking on the barrier reef, east of the cayes. 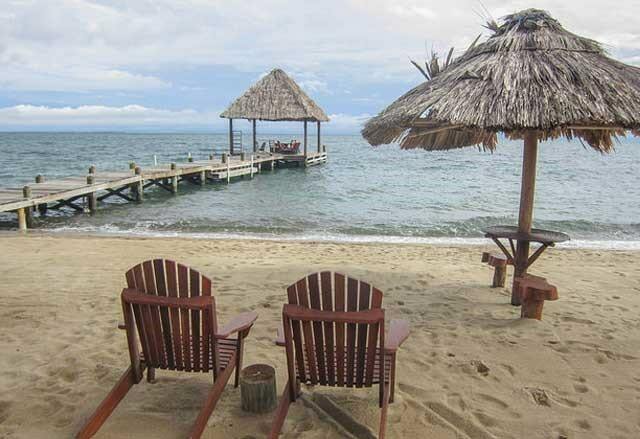 Placencia’s famous for its 27 kilometres of golden-sand beaches, perfect for lazy hours of sunning, swimming and strolling… But you’ll find appealing beaches in other areas of Belize, as well. 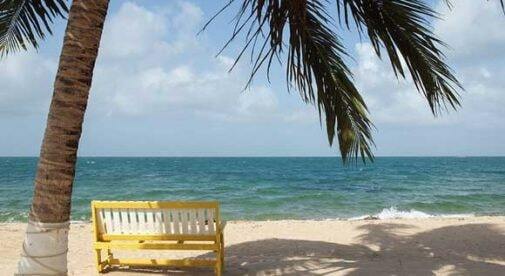 Hopkins, similar to Placencia, has a long, attractive stretch of public beach. 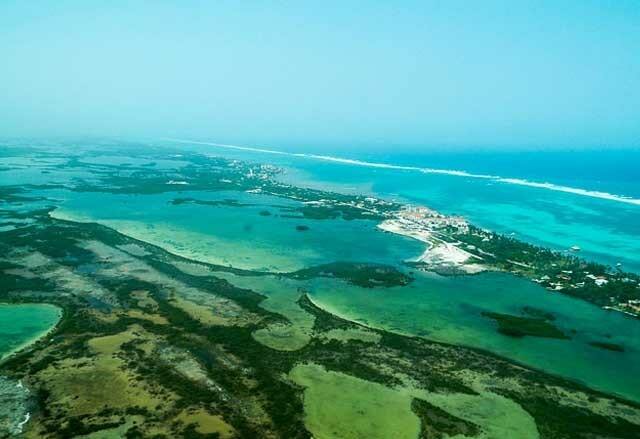 The developed cayes have their own, smaller popular beaches, some being off the beaten track. If you escape to a small, remote island you can find a truly peaceful, magnificent beach, such as the half-moon beach on Hunting Caye, in the Sapodillas. Only 45 minutes from Belize City by car, this well-designed zoo is the easiest way to meet the indigenous creatures of Belize. 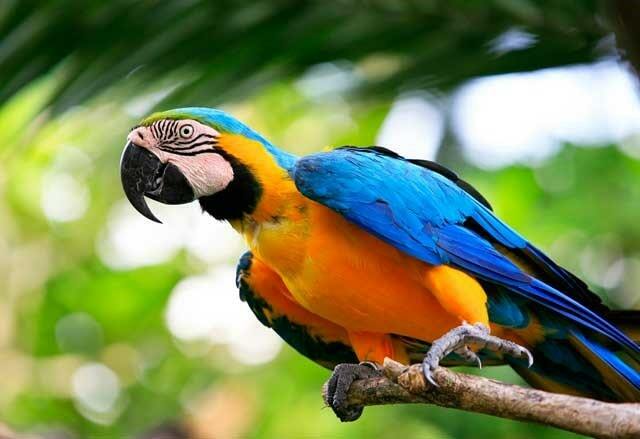 It takes but a few hours to view Belize’s quirky creatures in their natural environment. To see the elusive jaguars and other shy creatures up close, come early or late in the day, at mealtimes. Belize is a rich tapestry of cultures, customs and races. They include the Maya, Kriol, Garinagu, Mestizos, Lebanese, Mennonites, East Indians and Chinese. You can learn about their cultures, and how they live, through a variety of programs. Visiting Hopkins? Take a Garifuna drumming class… If you’re staying in Placencia, Hopkins or Punta Gorda, you can participate in the Maya home stay program, learning about the Mayan culture and history. If in the Cayo District, or northern Belize, visit one of the Mennonite towns. This is another splendid way to enjoy the beauty of the Caribbean Sea. You only need to decide between a water taxi, catamaran, sailboat or motorboat trip. Or just jump into a kayak and paddle around. The sea’s shimmering, nuanced shades of aquamarine are utterly calming when viewed this way. And the water’s temperature is perfect; you’ll want to jump in and cool off. 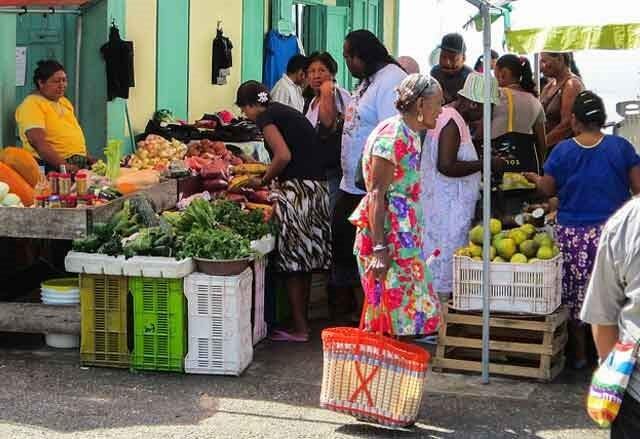 Most tourists try typical Belizean fair – stewed chicken, rice and beans, ceviche and lobster dishes. Why not try something more unusual, like stewed gibnut…a boil up…or hudut, the Garifuna’s traditional coconut fish stew? Add a splash of Marie Sharp’s, or Hot Mama’s veggie-based hot sauce for an extra kick. But be sure to indulge in Belize’s artisan chocolates. Kakaw Chocolate Factory, Moho’s and Cotton Tree all produce high-quality chocolate, made from Belizean cacao beans. Look for them in Belizean gift shops and specialty stores. Belize is a spelunker’s heaven. Anxious about delving into a dark, dank cave? No worries. Belize offers exceptional, safe cave adventures for all levels of visitors. A trained tour guide will accompany you. 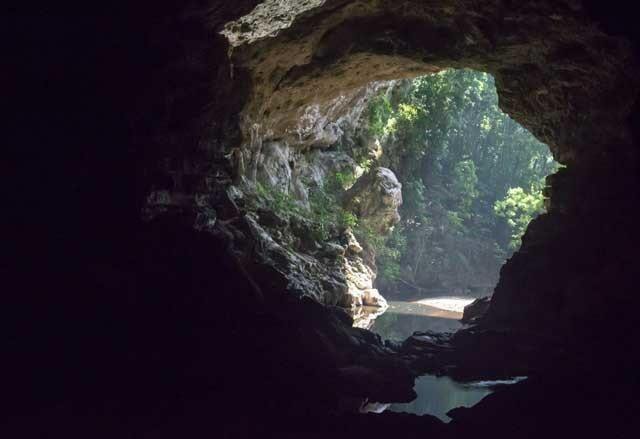 Barton Creek Cave, in the Cayo District, is a popular canoe cave tour. Or try a Caves Branch tour. You’ll float — in an inner tube — through a cave, passing through the Mayan underworld. For the truly adventurous and fit, there’s the unforgettable ATM (Actun Tunichil Muknal) cave tour. Whether you visit the Cayo, Stann Creek or Toledo regions, Belize’s jungles, rivers and waterfalls are spectacular, with many options to choose from. You can join one of the trips to the Rio Frio or Blue Creek waterfalls and caves… canoe down the Mopan River… ride a horse through the jungle… take an early morning bird tour… visit a butterfly farm or zip-line through the jungle canopy. It’s a perfect chance to appreciate nature at its best.